When you’re building a new product, you need to help customers understand the value your product delivers – fast. 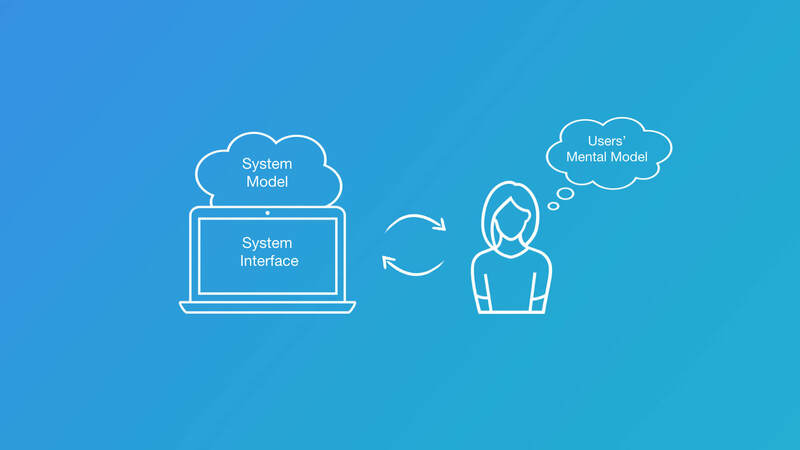 Designing around a customer’s mental model is key. But what your product is, and what it does, can mean very different things for different people. Take Snapchat. At one time it’s a photography app, an augmented reality app, and a social network, all for very different customers. These different assumptions and observations of what your product can do build up over time, and form different mental models. And these are the lenses through which customers see your product. I recently discussed these mental models on the first stop of the Inside Intercom World Tour in London. I explained how to design around a customer’s mental model (and how to help them create new ones), why you should use the nouns and verbs your customers are using, and the benefits of using well-established patterns. You can watch my talk, or have a read below. I’m going to talk to you today about something I think about a lot and anyone who’s building a product should be thinking about. And that’s how do users understand new products? When you’re building a new product, how are people going to understand what it is, what it does and the value it’s going to deliver? A while ago I came across an exercise that really clearly illustrates how different people can think about the same thing in very different ways. And that thing is toast. 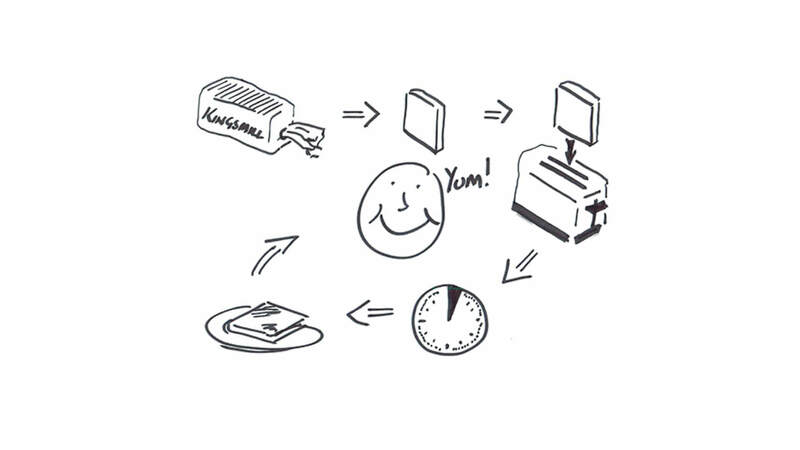 The exercise works by asking people to take a sheet of paper and a pen and draw the process of making toast. It seems very simple, but what you’ll get is something like this to start with. One person will draw making toast like this – you take bread, you put it in the toaster, and out comes the toast. But this is just one person’s illustration of how you make toast. In fact if you ask a lot of people to do this, you’ll get many versions of how people make toast. For some people, it’s all around the person’s involvement and the people who are making toast. Others will think more about the mechanics of the toaster. What are all the parts? Other people are going to think about the whole supply chain, all the way from the grain that goes into the bread. 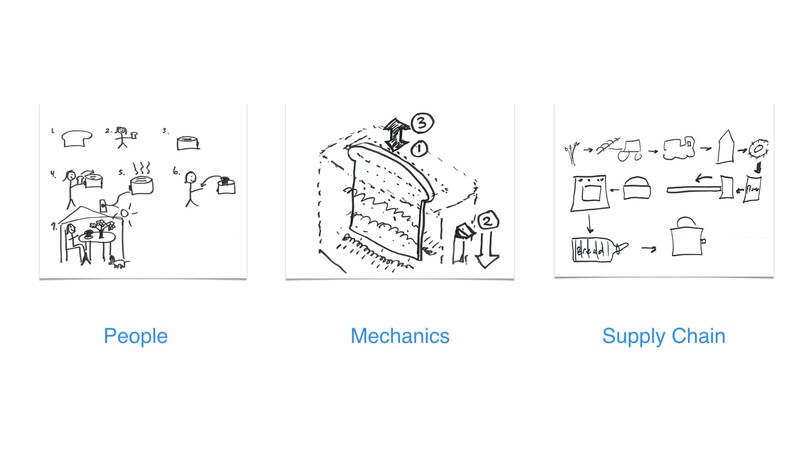 What these are are illustrations of different people’s mental models, how a person believes something works. As people have different experiences and make different assumptions and observations, they can form different mental models. Now if we look at how toast is actually made, there’s four main parts. You’ve got two main objects, bread and a toaster. And then you’ve got heat and time which are applied to them. When you combine these together, you get the system model of making toast with a toaster. You simply put the bread into the toaster, turn it on, heat the bread, wait some time, and the toast comes out. This is what we call the system model. This is how something actually works. When you are building software, this is usually illustrated to people and delivered to them through the interface. When you have the mental model of how people believe something works, and the system model of how it actually works, it becomes interesting when these two things intersect. When they meet and make sense, people can find the interface intuitive. When things don’t match and there’s a disconnect, people can find it hard to use. If people explain making toast in many different ways, then explaining something new can be really hard. People make sense of things they see by mapping them onto existing categories. When they can’t map something to what they already know, they can find it confusing. Take Snapchat. Snapchat is a new product and people see it in very different ways. Some people think it’s a photography app, other people think it’s about augmented reality and applying filters. Some people see it as a game, and other people think it’s just social sharing. But if you haven’t used Snapchat before, you might have a very different mental model of what it is. You might actually be confused. Maybe it’s just something that teenagers use. That’s why using something new for the first time, when it doesn’t map to something you already know, can be really confusing. Let’s think about applying mental models. 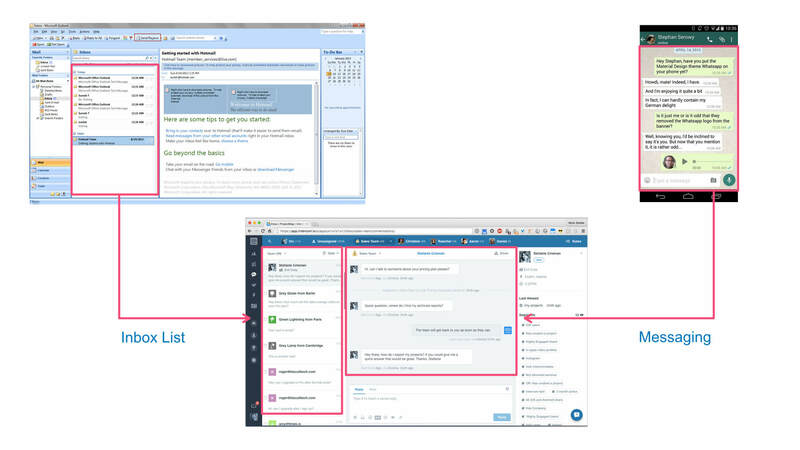 We came across this at Intercom when we were redesigning our inbox, the part of our product that businesses use to talk to their customers. We tried one design that was in a feed style, like a Facebook feed or a Twitter feed. We thought people would deal with conversations towards their friends and towards businesses in the same way. When we tested it, we found it actually didn’t work. It didn’t work very well with people’s workflows, so we ended up building something more like this. Any of you that use Intercom will be familiar with this. But when you take a step back at how we looked at it, you see that it’s informed from two existing patterns that people use. On the left, you have a list view of the conversations in your inbox. That’s mirrored very closely to an email client. It’s very familiar for people to use but then in the middle, you have something that looks much more like messaging, the chat bubbles back and forth. By hooking into these two existing mental models of emails and messaging, we were able to communicate to people what this product was and how they should use it to talk to their customers. 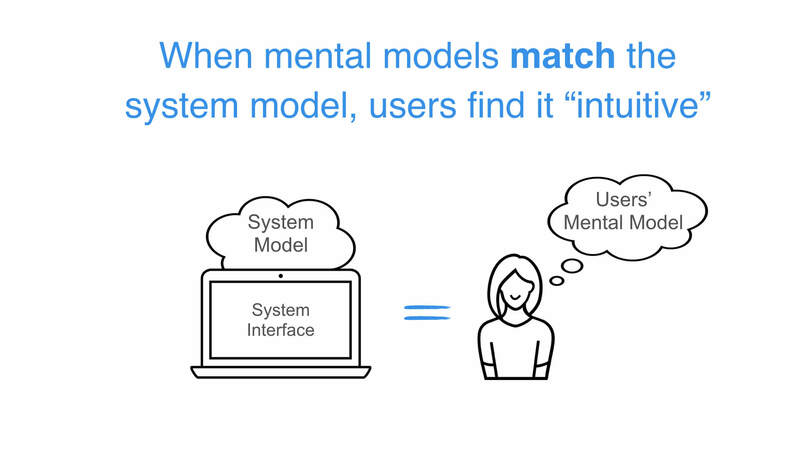 Now that you understand what they are, how can you actually start to understand your customer’s mental models? This can be really hard. How can you extract out the beliefs they have for how something works and make it useful for yourself? The first thing you need to do is talk to your users. Like the toast example, you want to ask people to draw the system of using your product. How do they believe it works? You might be surprised when they don’t list all of the features that you’ve built and focus on the things that really matter to them. Just like the toast example, you’ll get loads of different drawings, and you then need to synthesize them and pull out the commonalities. 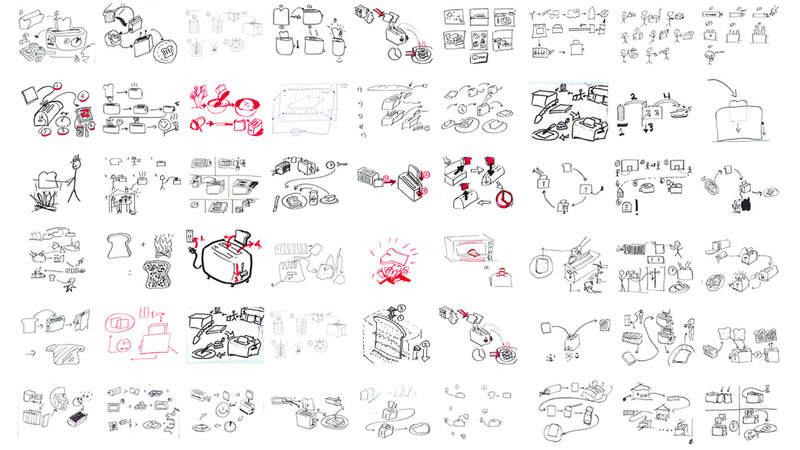 Get people to explain the drawings back to you, to tell you how they think it works. Listen to the words they are using. If we think about the toast example, you’ll probably pull out two different mental models, two fundamental ways that people look at making toast. On the one hand, some people will make it with a toaster and other people will make it with a grill. They are just two different approaches. If you were a company that was making toasters and you had a brand new toaster with lots of different features, imagine you tried to sell that to someone who thinks about making toast in a grill; it wouldn’t make sense. It wouldn’t really resonate with them. That’s because there’s a gap in the mental models between kind of how they use something, how they believe it works, and then how your product works. You need to bridge this gap in two main ways. First you can try to make your product mirror their mental model for how they believe the product works. The other thing you can do is educate your customers, to teach them about something new and help them create new mental models. Let’s talk about educating your customers. When there’s something new that people don’t know and they can’t explain it, you need to tell them what it is and someone needs to show and explain it to them. Simple things can be really good and if you can understand something straight away, that can be really powerful. But lots of things don’t work like that, and they don’t have to. You’ve got examples like a Pac-Man controller that’s really simple, or an Xbox controller, all the way up to an airplane cockpit. It doesn’t mean that the cockpit needs to be as simple as the Pac-Man controller. Nor should it be. But making it learnable so you can teach people how to use it is really powerful in software. So how can you do that? The easiest thing to do is with tutorials and guides. Like in video games, when you start and work your way through the first level, you start exploring and learning the world. You want to do the same thing with your customers, and teach them about what things are. Explain what the new concepts are, the new terms. Do walk-throughs and talk to your customers. The other thing you can do is help make your product conform closely to their mental models. There’s a few ways of doing this. At the interface level, you can use standard patterns all the time. 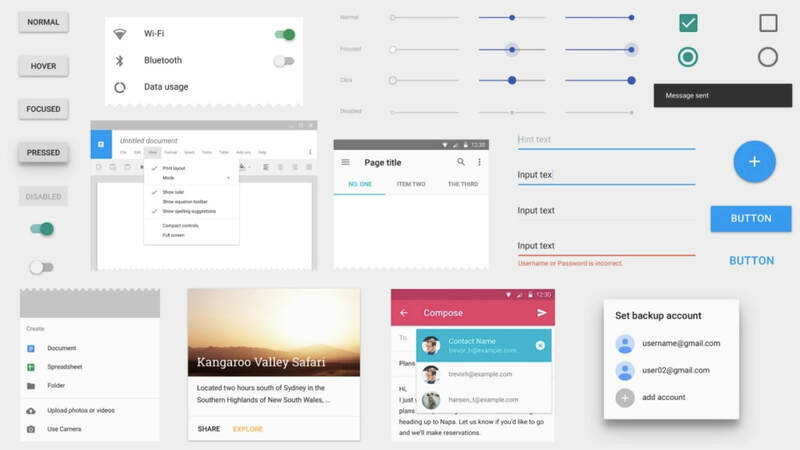 Patterns for web or for iOS or for Android are tried and tested, and people have already learned these through using interfaces in other places. If something looks like a button, it should act like a button. If it looks like a text box, it should act like a text box. Spending your time being novel and creative in these interfaces can actually confuse customers. They spend time learning how to use patterns or interfaces when they should be spending the time learning about what your product is and the value it delivers. The next thing that’s really powerful is at the content level. Most of the time people don’t spend a lot of time thinking about the content and the language they put into their product. But it can be really powerful. When people are explaining how they think your product works, you want to listen to the nouns and the verbs that they use. The nouns are the objects they think are in your system. It’s the language they use for them. The verbs are how they think it connects together. So if they say, “Send a message”, then that’s the language you want to be resonating back to them. Google is a very good example of this. You’ll notice all of their products are named very literally after the things that they build. Google Drive is your computer drive, Gmail is your email, Google Calendar is a calendar and so on. All these things mean that when you open them up for the first time, you know what to expect. The last thing you can use is metaphors. These can be really powerful to hook into people’s existing mental models because you’re piggybacking on something they’ve already learned. By doing that you can help them understand something quickly. The sooner they understand what something is, the sooner they’ll be able to get the value from it. Apple Wallet and Nest are interesting because they replaced very standard, physical products that people are used to using. On one side you’ve got a wallet with tickets, and people are used to using physical tickets. Now, they could have designed this to have a table of QR codes, it would have done the same thing. But by making it look like physical tickets, you know how to interact with it. You know what it’s going to do and you can trust the system enough to actually move away from a physical ticket into a digital one. The other example is the Nest app. It looks like a physical thermostat, and it looks like the physical Nest product thermostat as well. On my phone I can control the temperature in my house, which is in a different country by just turning the dial. Again, they could have used an interface that made this seem very complicated or different, but they used a metaphor of a physical thermostat to help people understand what it is and how to use it. 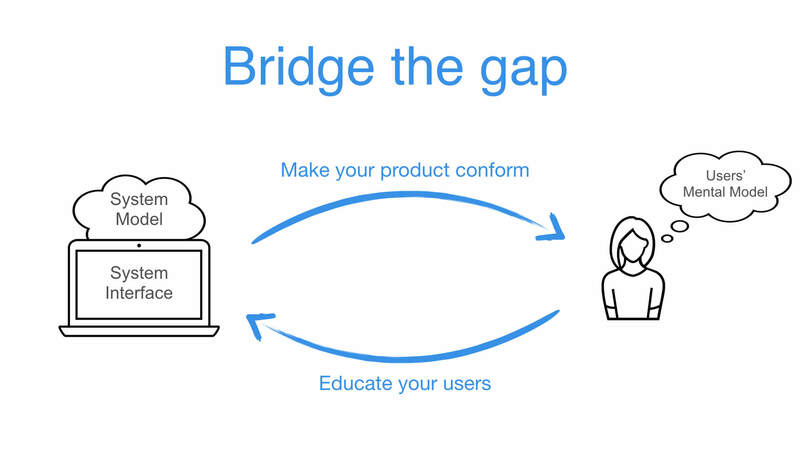 By considering the mental models that people have about a product, how they believe it works, and also the system model of how it actually works, you can start to identify and bridge these gaps. By doing this, you can better help people understand what new products are and how they work.